The large 8 x 12 in. 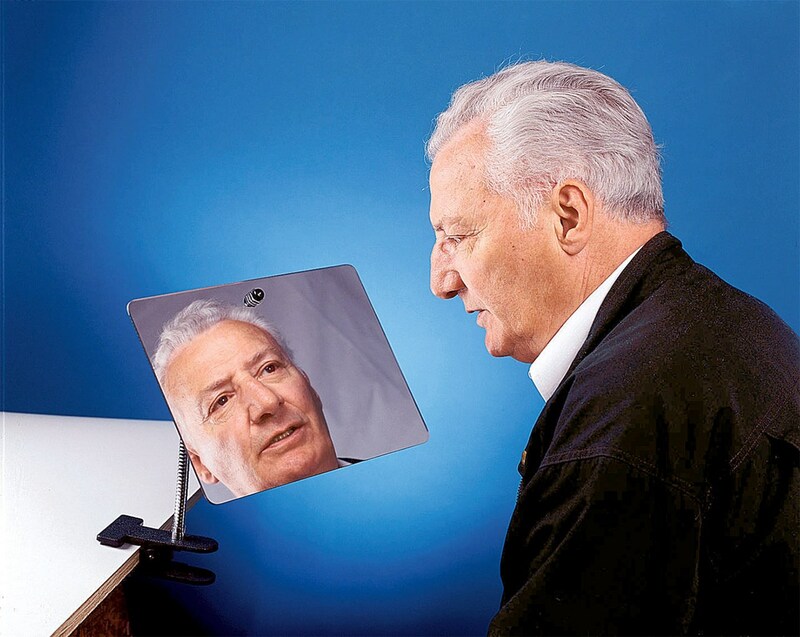 (20 x 30 cm) shatterproof mirror is mounted on a 12 in. (30 cm) long, flexible metal "gooseneck" attached to a strong plastic spring clamp. The clamp grips flat surfaces up to 1 in. (2.5 cm) thick offering the convenience of being able to use just about anywhere. Can also be used as rear view mirror on a wheelchair or scooter. 1-year warranty.